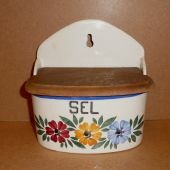 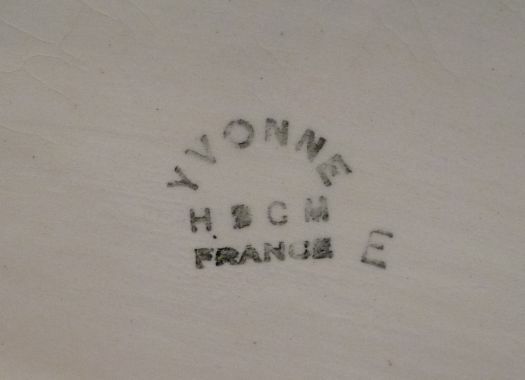 Very nice salt box, model Yvonne (this is a French firstname for a woman). 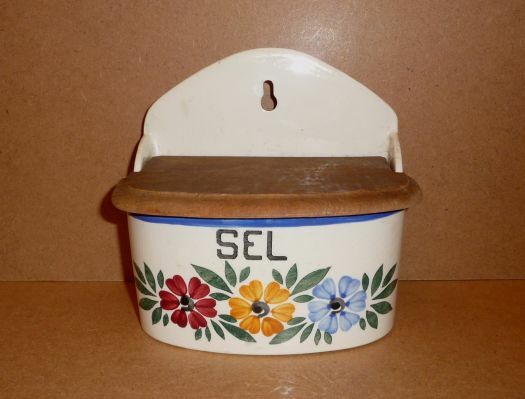 Made in France, around 1940-1950. 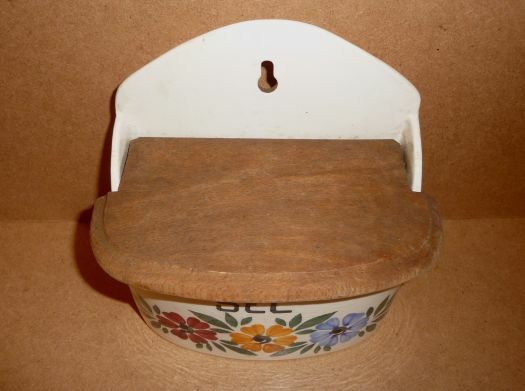 Very good condition, only a small chip behind (picture). 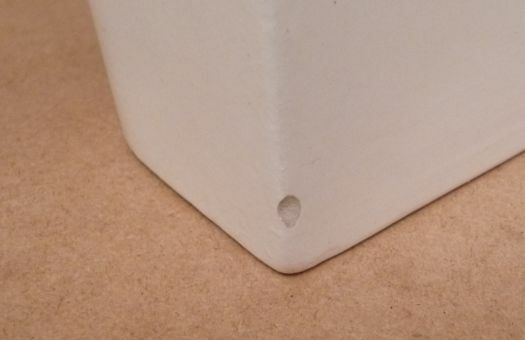 16 cm x 10 cm ; height 15,2 cm.